Matthew Heineman (Cartel Land, City of Ghosts) makes his dramatic debut with this gritty and unflinching biopic of the late Sunday Times war correspondent Marie Colvin, starring Rosamund Pike. Marie Colvin, widely recognised by the eye patch she sported, is a woman driven to truth. She wants the world to know how ordinary people are affected by decisions made by people in power; an inclination so strong she is willing to risk everything and report fearlessly from some of the most brutal and terrifying war zones on Earth. The trauma of what she has witnessed begins to take its toll, and with it her life back home in London starts to unravel – but as the injustice continues, the pull towards the conflict grows ever stronger. 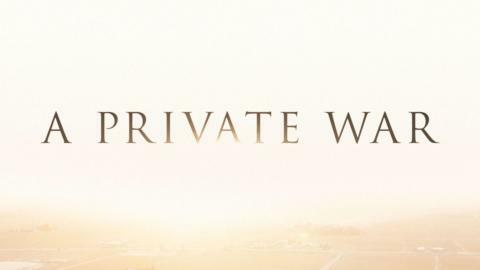 With a truly outstanding performance from Rosamund Pike, A Private War is not only a remarkable homage to Colvin herself but a homage to journalists everywhere – the people who, despite everything, continue to shed light on the dark corners of our world, the human cost of armed conflict and the people who have no voice.